Reflection: As Catholics, we believe and put our hope in a merciful and loving God. We are conscious of our own brokenness and need for redemption. Our Lord calls us to imitate him more perfectly by witnessing to the inherent dignity of every person, including those whose actions have been despicable. Our faith and hope is in the mercy of God who says to us, “Blessed are the merciful, for they will be shown mercy” (Mt 5:7) and “I desire mercy, not sacrifice” (Mt 9:13). 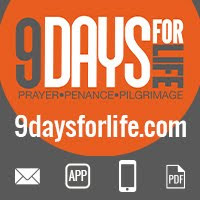 As Christians we are called to oppose the culture of death by witnessing to something greater and more perfect: a gospel of life, hope and mercy.